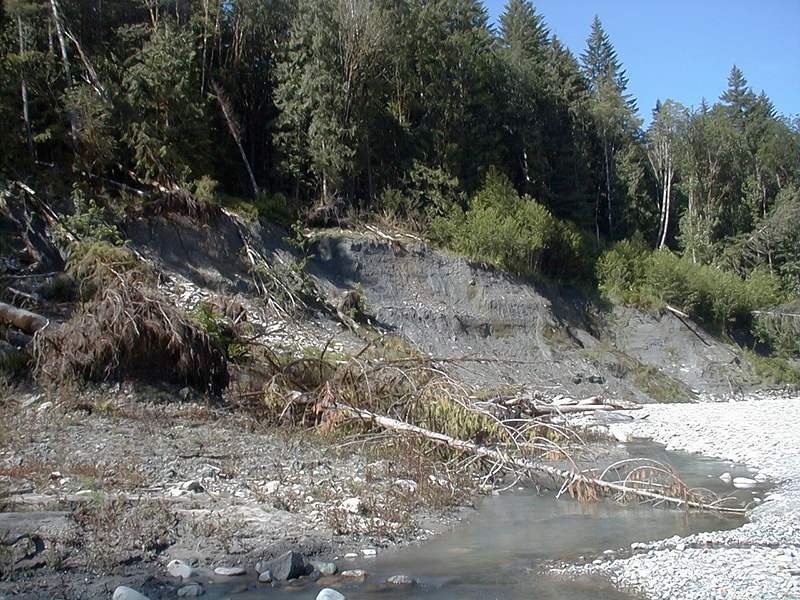 North Fork of the Skykomish River - Holocene glaciolacustrine deposit (glacial lake) exposed at a cutbank along the Skykomish river. 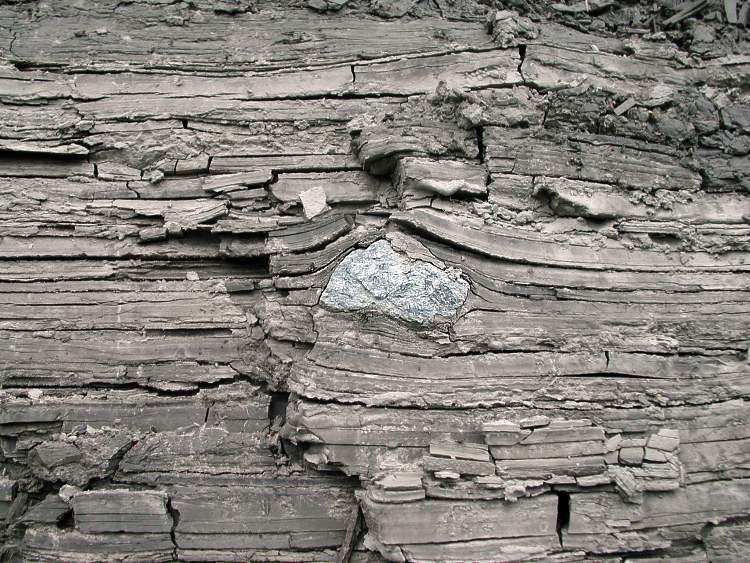 The deposit is comprised of massive dark gray clay interbedded with mm-scale sand layers. 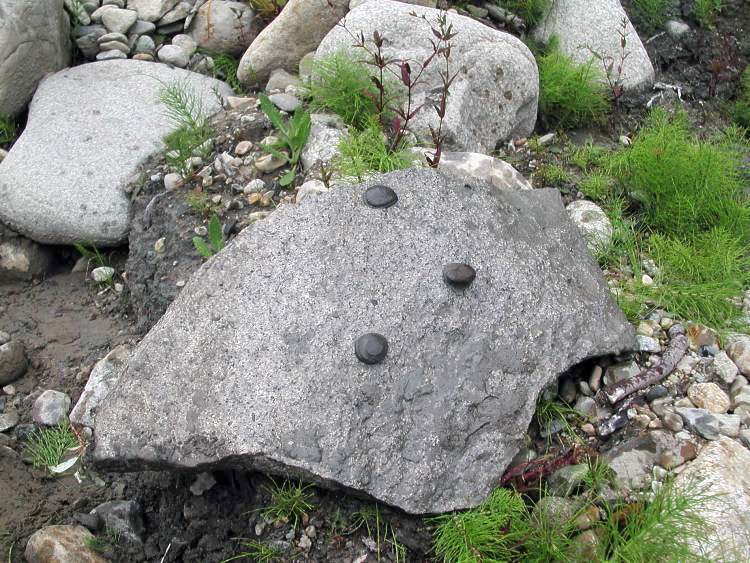 Dropstones are common. 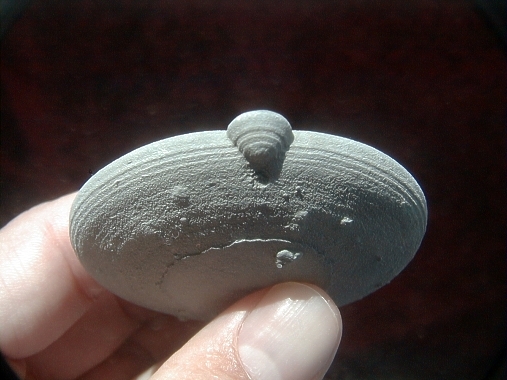 Diffusion of Ca2+ and CO32- and subsequent precipitation of calcite in groundwater causes the concentric growth of calcareous (calcite-cemented) concretions in the sediment. Calcite- CaCO3 - Occurs as main mineral component within concretions. Calcite is the cementing agent, filling the pore space in clay and sand sediment layers. Diagenetic calcite precipitation in sediment pore space produces light-gray, flat, rounded nodules that weather out of the hillside. 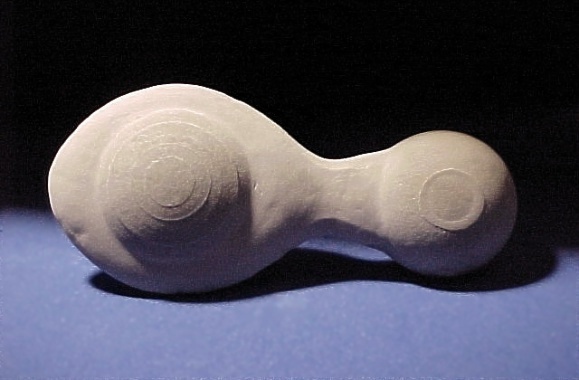 Fine-grained clay-rich concretions are commonly symmetrical. 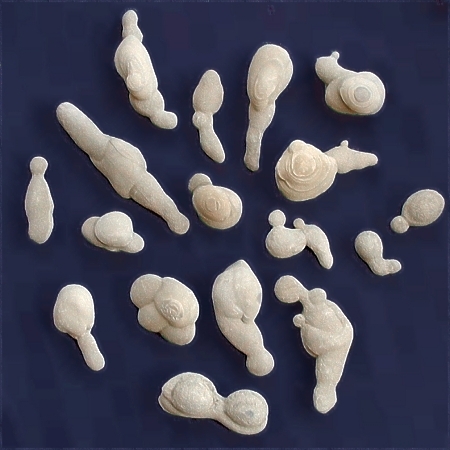 Sand-rich concretions are typically irregular in shape. 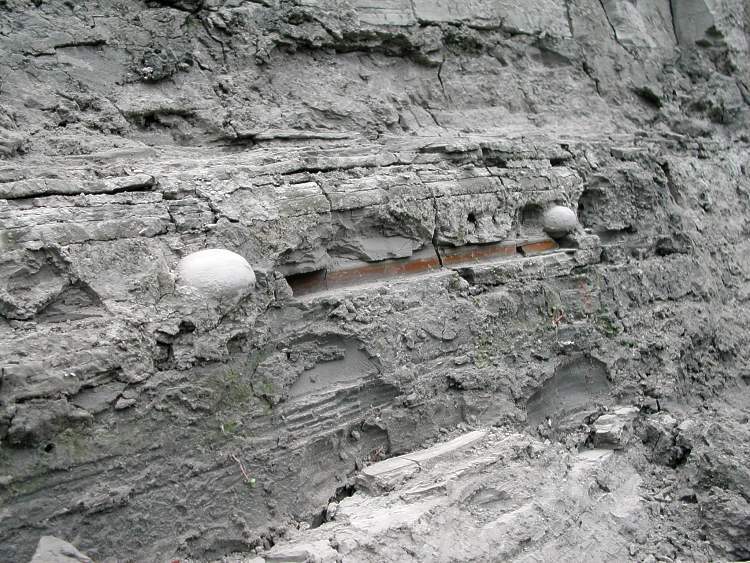 Concretions up to 15 cm occur in outcrop or loose, eroded from the clay bank.